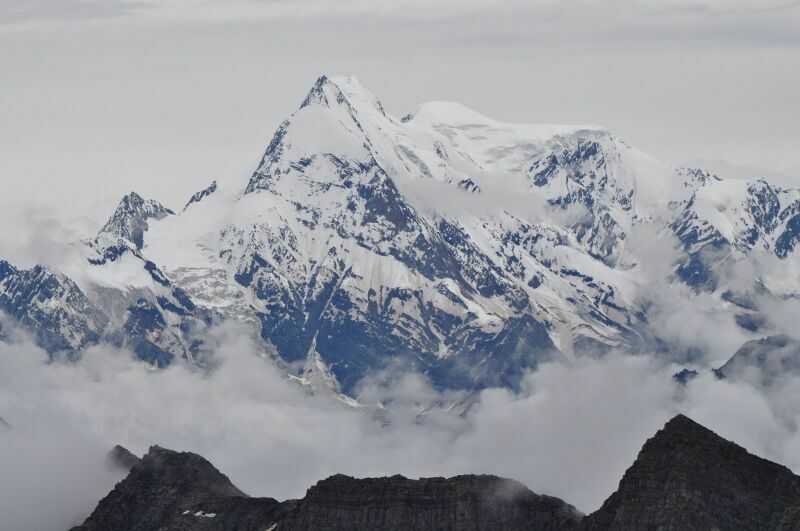 Thamsar Pass at 4700 meters has a romantic appeal paralleled by none. Leading to a village of 400 people, over a centuries old mule trail, its your pass to bliss. There are some makeshift shops on the way, 2 beautiful lakes on either side of the pass, Pir Panjals, 3 sister peaks above Panhartoo, lush green meadows with fabulous yellow flowers and a few waterfalls. 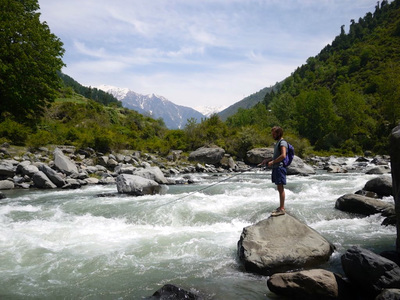 Many streams rising on slopes of the Bara Bhanghal Range unite here to form the Ravi River. 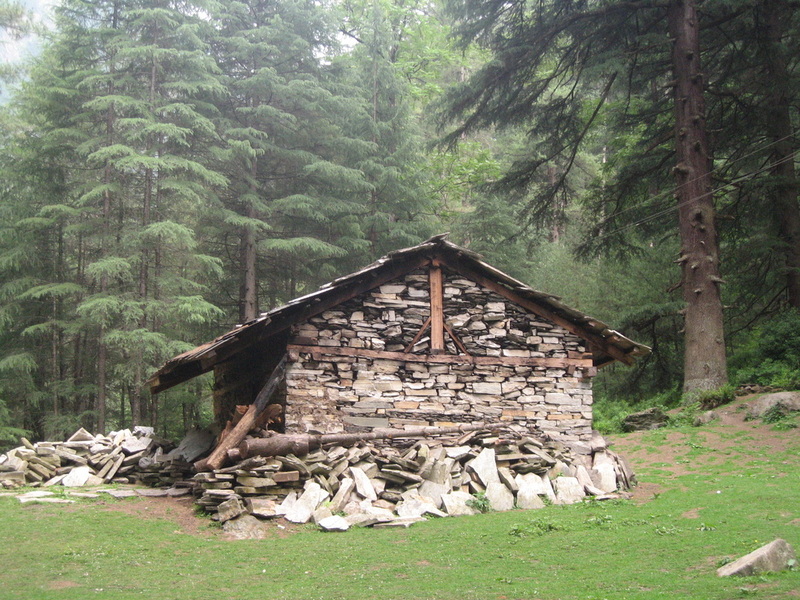 This trail provides an insight into the life of Gaddi People living in the valley. 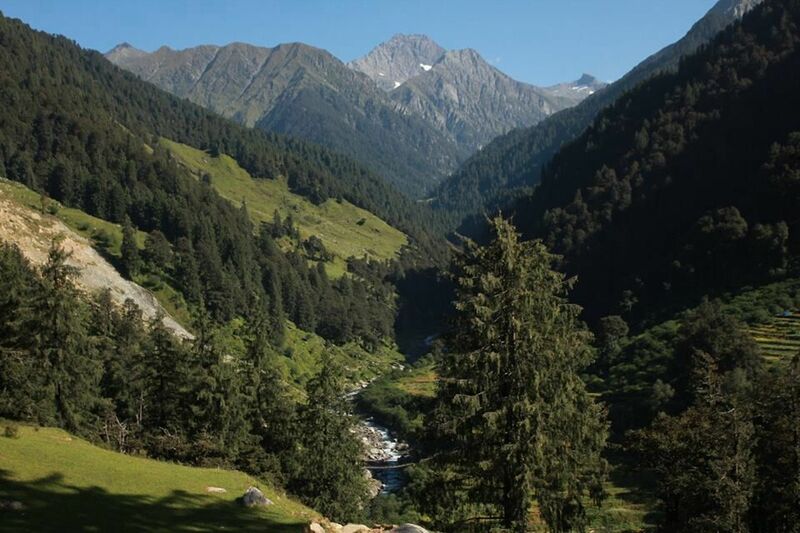 Thamsar Pass is one of the highest passes in Dhauladhar Range. It links Chhota Bhangal region with Bara Bhangal region. With no road access and surrounded by mighty peaks and passes, Bara Bhangal is one of the remotest inhabited area of Himachal. Usually the pass remains closed from October to April. 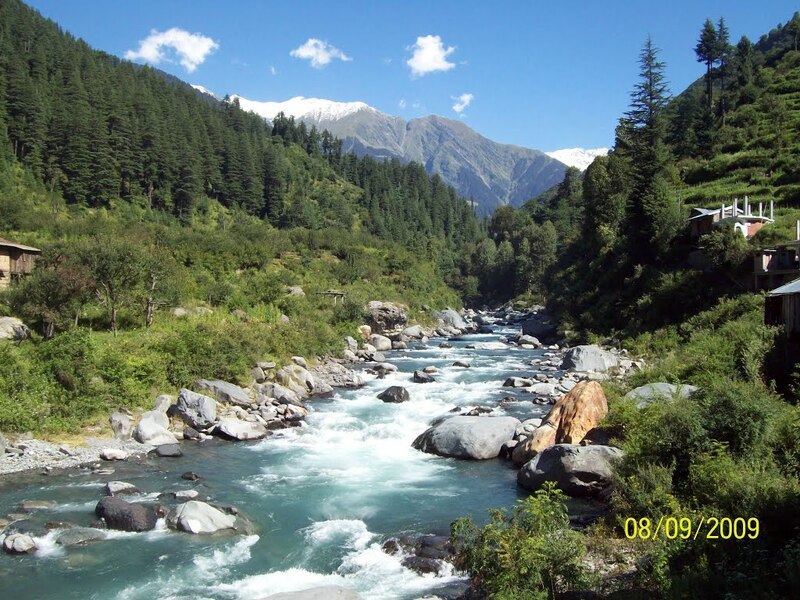 In this trek we proceed upto Panhartu, which is the base camp of Thamsar on Chhota Bhangal side. A major part of the trek lies along Uhl valley. 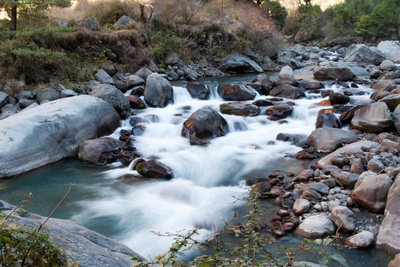 It's a beautiful and relatively unexplored region in the lap of Dhauladhar range. 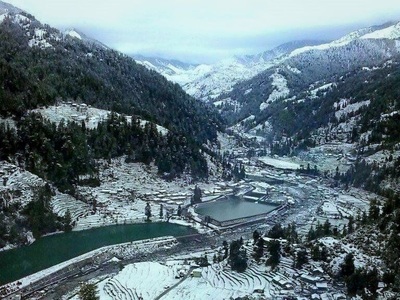 We start from the beautiful village of Bir, which is settlement for many Tibetan Monasteries, Restaurants and landing site for Billing, one of the world's famous paragliding site. 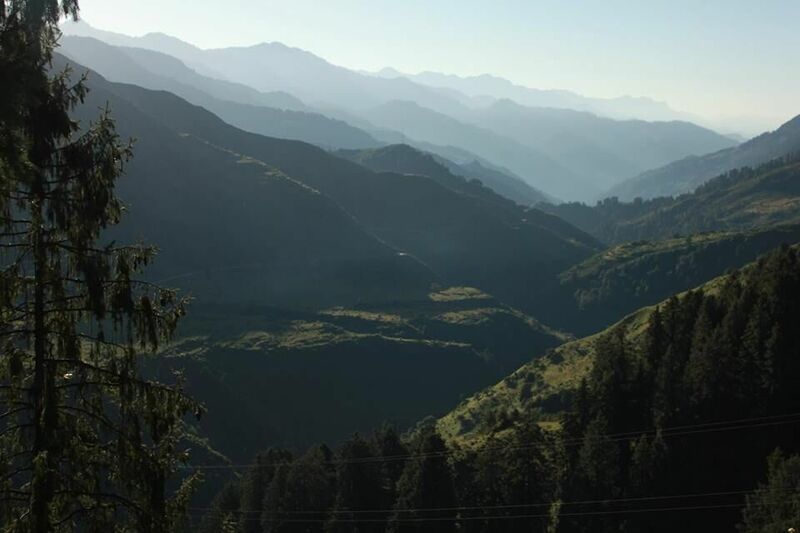 This day start a 4 hrs walk from the Bir to Billing which is a moderate trek and it is the best and famous place for the paragliding. Enroute you can see beautiful and the panoramic view of the Shivalik ranges. On the second day we go the north of billing above the uhl river, it is a easy walk and you can see the potato farms in the village. 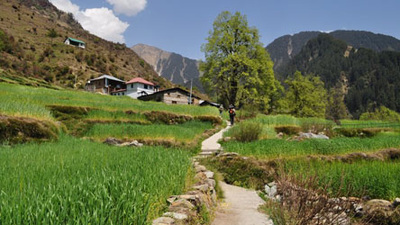 Rajgundha is a beautiful village at 2500 meters with breath-taking views. 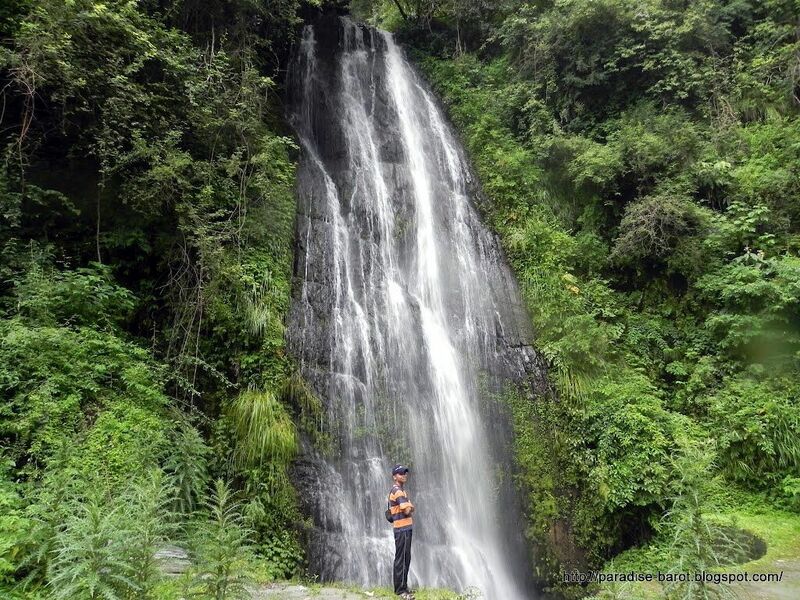 this trek is of moderate ascent, crossing villages of Plachak, Guhardi and a beautiful scenic waterfall to the base of Thamsar Pass. over Thamsar pass (4665mts), 10-12 hrs. This trek is weary and it involves climbing. 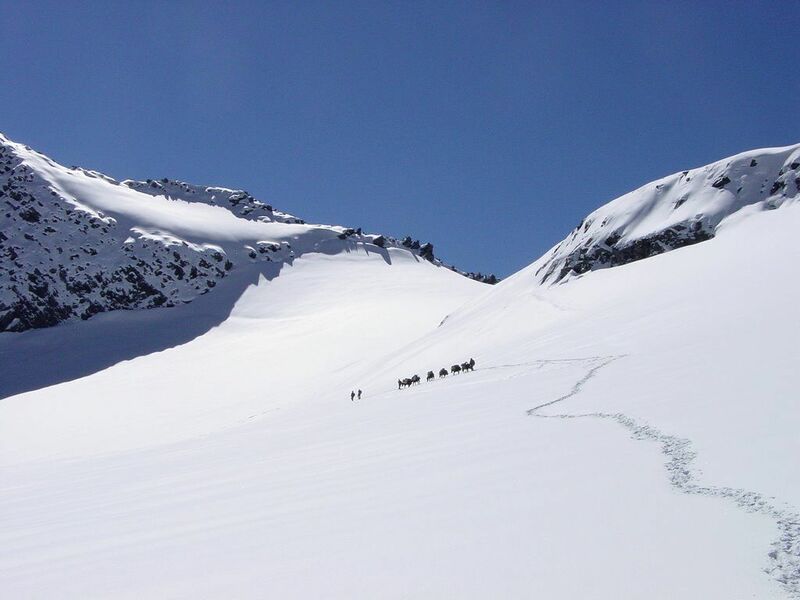 A beautiful small glacial lake can be seen on this trek. 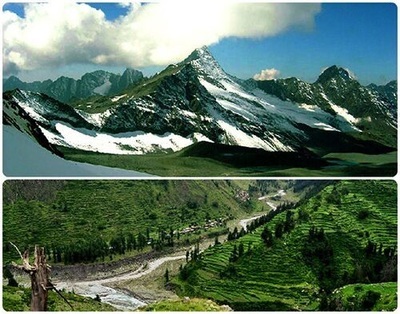 The pass is surrounded by snow and pass also shares two different valleys (Kangra & Ravi valley). From here trail descends to the vast of snow towards north. 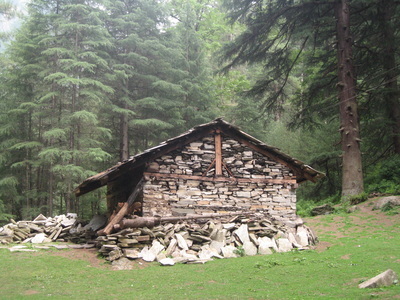 The trekkers and gaddis camp at this place and make an early starts to cross Thamsar pass. 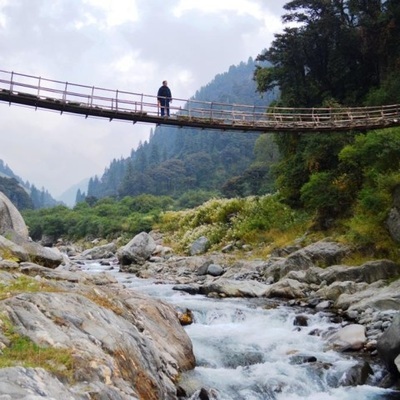 It is downhill trek to Bara Bhangal which is situated above the attraction for trekkers, mountaineers, nature lovers and anthropologist who thrive to feel and experience the lives of local tribes who live there in complete isolation untouched from the outer world in their own traditional ways. It takes about 3 hours to reach Dhardi village. There is one short tricky rock face about 200 ft. above the river, the rest of the trek is normal. towards a steel cable bridge on the south bank one Kilometer above Nayagraon where there is a rest house, Dhardi is being connected by a jeepable road from Nayagraon to facilitate the people of Dhardi and Khaner to reach Barabhangal comfortably. 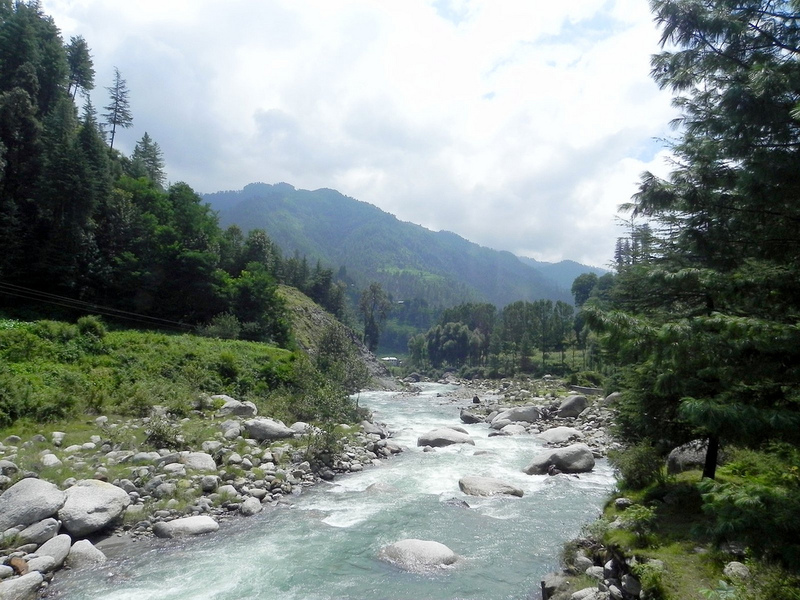 An easy trekking trail, rather jeepable path, to reach deol, THE BUS HEAD/ Deol is emerging as a big village with few shops and eating places. From Deol one gets bus to reach Kharamukh, Bharmaur or Chamba. Quality Tents, Sleeping Bags, Camping Equipment, Ropes, Ice Axe (Where required). Click Here to know whats incuded in your package and what you need to pack?